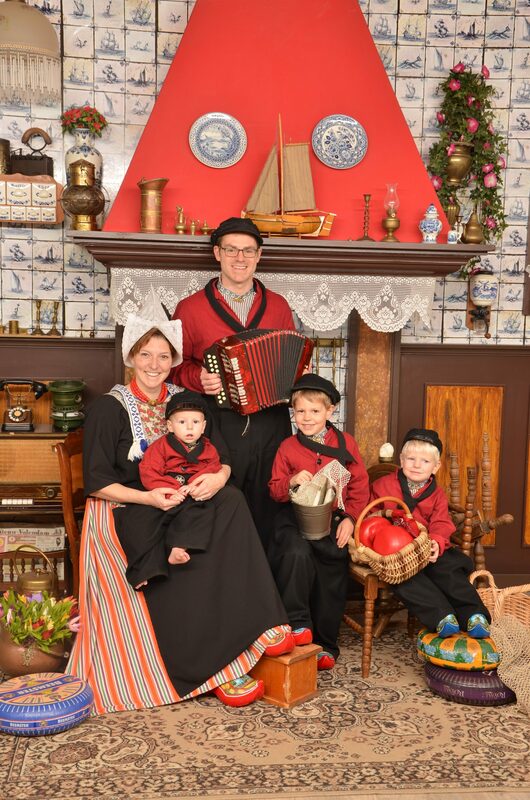 We cannot resist the chance to ride the rails! While in Canada we opted to use VIA rail to transit between Ottawa and Montreal. VIA Rail offers lots of sales and deals every Tuesday so timing your ticket purchase is important to get the best deal. 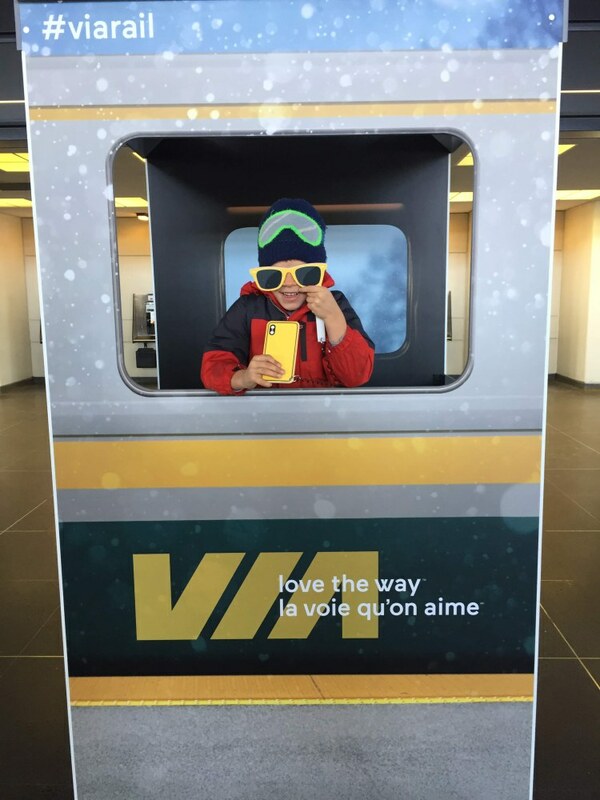 We recommend you sign up for the VIA Rail newsletter and wait a few weeks before purchasing your tickets. 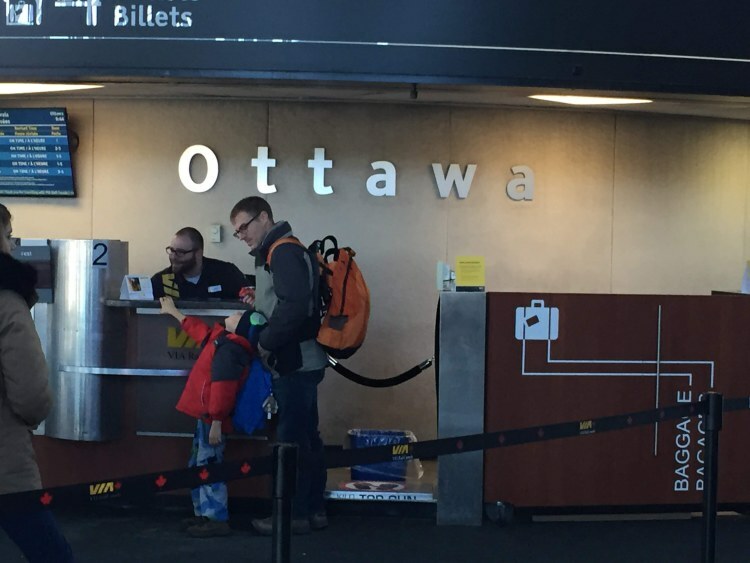 We boarded at the train station in Ottawa, which is more reminiscent of an airport than of European train stations. You check in at a ticket counter and then check any large baggage at another counter. It is put into a luggage compartment on the train and comes out on a conveyer-belt at your destination. There is storage for small bags between and under seats. After you check your bag you wait at a gate, not out on the platform. You are paged when your train arrives. There was a small cafe and this photo booth in the terminal but not much else. 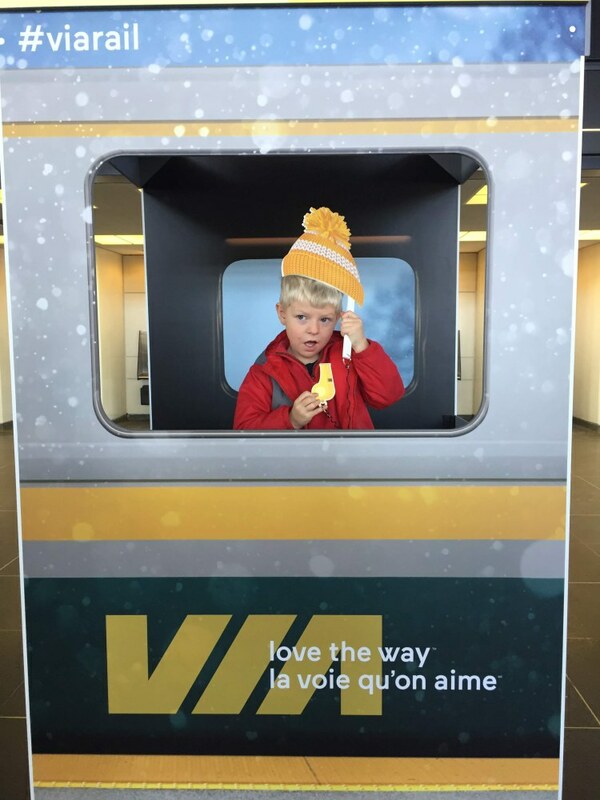 VIA Rail has a whole section of the webpage dedicated to children that lists how they try to make travel easier for families. We did try to take advantage of the priority boarding, but due to an error with the tickets we boarded near the end. We were never offered a children’s packet or anything else stated on the webpage. I assume this is due to the blizzard and us riding on a short business route. We were plenty prepared for the hour and a half train ride. The boys enjoyed the flexibility to move around and all pile on to one seat to do their activities. We found the train to be perfectly adequate. It was not the nicest train we’ve ever been on (that accolade goes to the Bergen to Oslo train that came with a children’s playground). It was also not the worst train we’ve been on (I’m looking at you Romania!). There is snack cart that rolls through the train. It is akin to the snack cart on the airplane. A menu at each seat lists the options. I ordered a coffee and it was perfectly satisfactory! 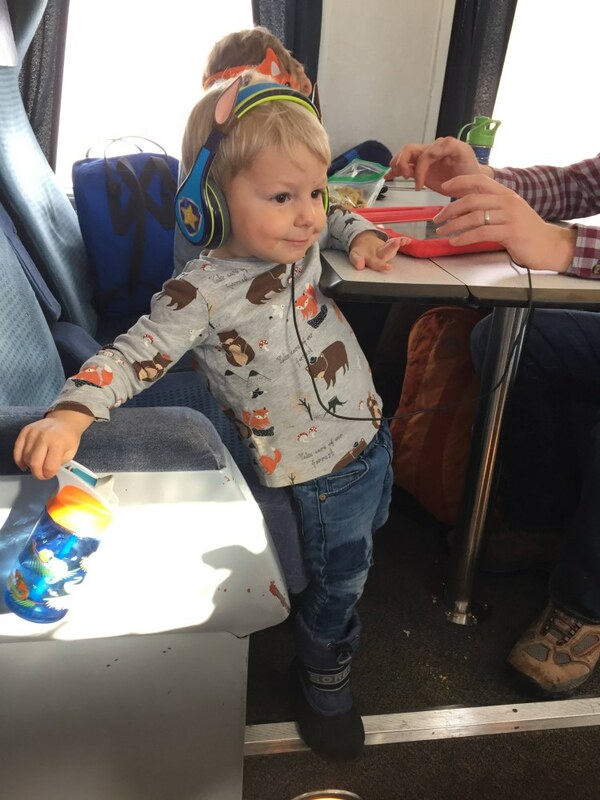 We hope to be able to take a longer VIA Rail route in the future and really experience everything VIA Rail has to offer with the kids and also get to see the countryside. As for this short route, it was a great way to see Canada and an easy way to travel with the kids. We ended up in the center of Montreal, ready to see the city!